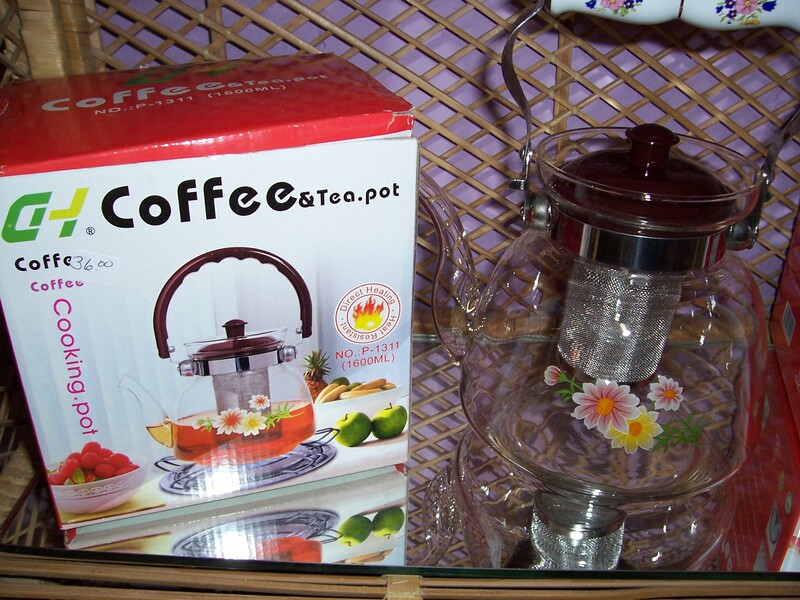 Although the box says coffee, it is really a glass tea pot, we have 3 new and different models, some will even work on the stove top. 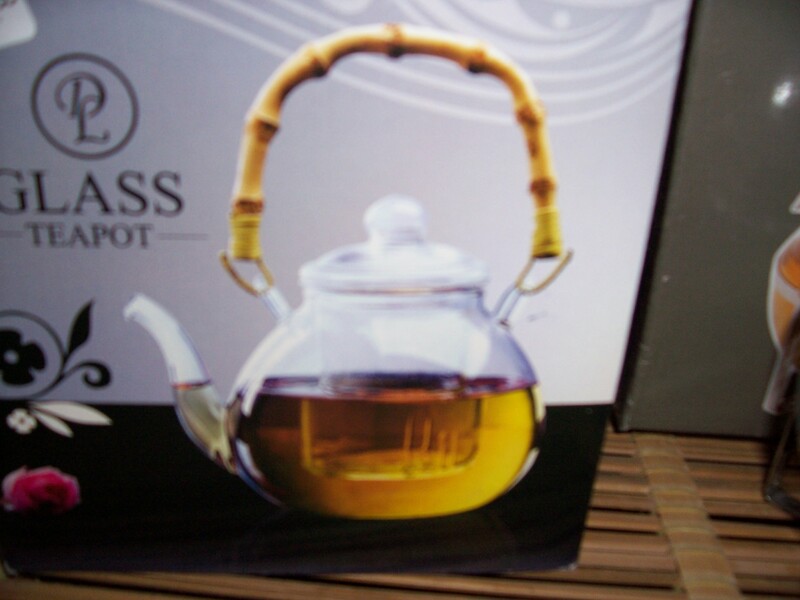 This good looking glass tea pot works well with any tea but displays the Blooming Teas especially well. 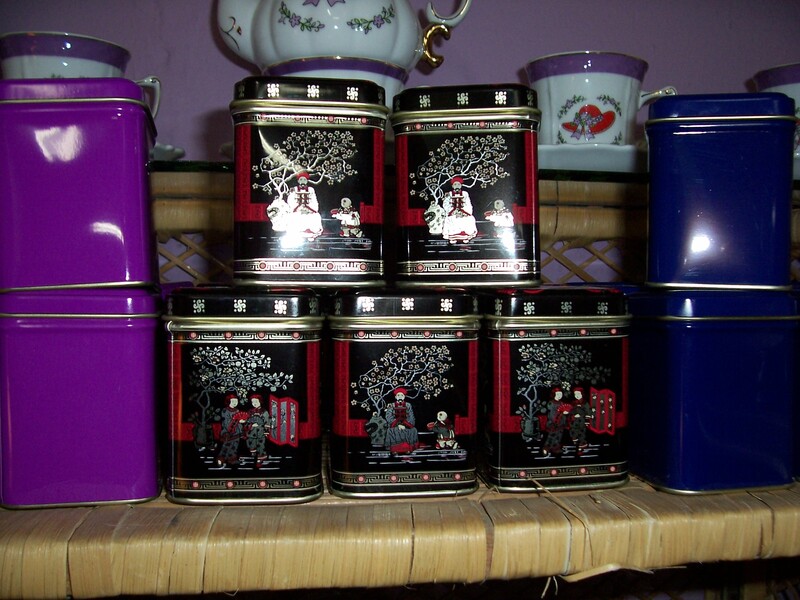 Look, 3 new Tea Canisters, perfect to store your loose leaf teas. 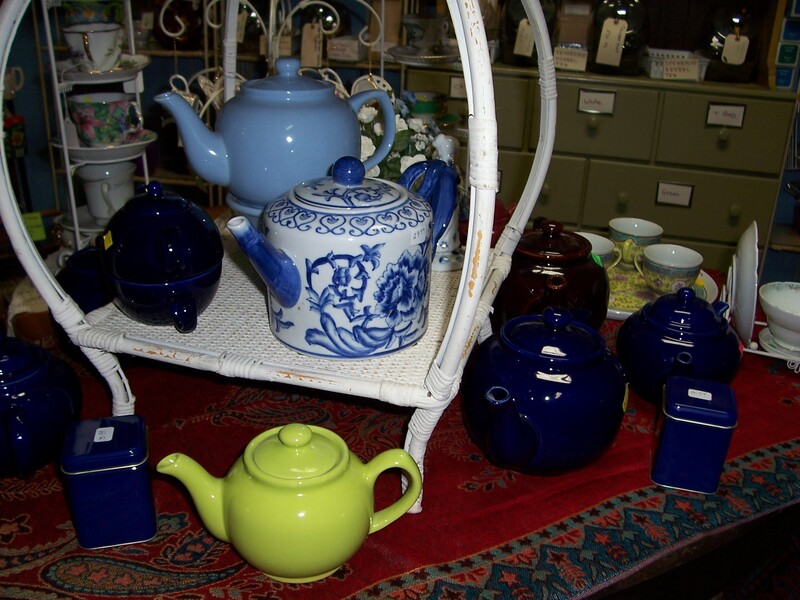 I found several really neat TeaPots- and you know I have never found a teapot that I didn’t like! 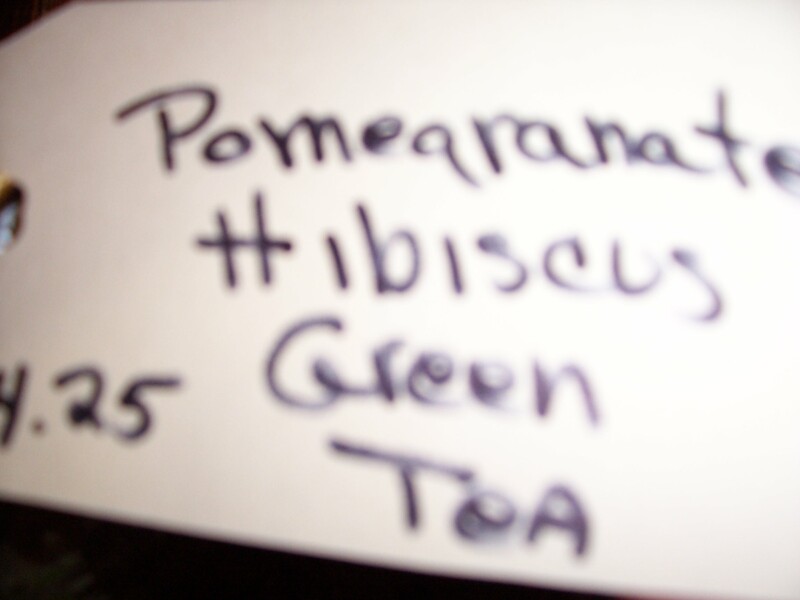 Also, a new shipment of Tea, all of our favorites are restocked, and here is a new one…Pomegranate Hibiscus Green Tea…smells devine.